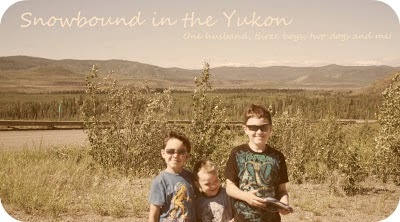 Snowbound in the Yukon: And back to you,Donna. Okay, we've established I'm weird. That's probably why you read me! That's why my Hubby loves me? It's just who I am!....Yay right! I'm probably so normal! Or am I? So after all the drama in my life my son has been fine so far, no late nights. But my sleep has been off since Sunday night now, I stayed up to late one night and then I slept over 8 hours on other nights and couldnt' wake myself up in the morning. No sleep does something to me and I have terrible control over my eating and habits. I've been having at least 1 cigarette a day for about 5 days. I'm nipping that and no more bumming off my friends. I have to quit. I've been drinking pop again since the holidays sometime and I'm nipping that. I've been eating crap for the last 3 days and it's reflecting in my weight. I started a new challenge on Sunday with a group online but that has not been going well at all. I have to get back to it! Proper sleep, proper exercise and proper eating! Biggest thing is to actually do my meal plans. I'm going to sit down today and work on that. No more excuses! I'm doing this, I'm ready for it! I can do it! I will do it! I am a strong and intelligent woman! I am strong!! You are very strong, you can do it, just jump right back in!